Is this the real life? Is this just fantasy? That’s the question Queen fans around the world asked when the new Bohemian Rhapsody movie hit theaters November 2nd, 2018. Queen, formed in 1970, was a rock band consisting of musicians Freddie Mercury, Brian May, Roger Taylor, and John Deacon. The film, overall, made my friends and I very excited. I went to see the film on November 3rd, with my friend Dylan and was not at all disappointed. The movie stayed very true to the colors of Freddie Mercury and his band mates. Although not everything in the film was accurate to Queen’s timeline, all of the information is correct. Story writers decided to push events together and also switch the order of when things happened to move the story along. This was to keep fans intrigued during the whole two hours and fifteen minutes of the film. The movie had a great flow to it and always kept the audience on the edge of their seats. There were laughs and tears throughout the entire cinema that afternoon. 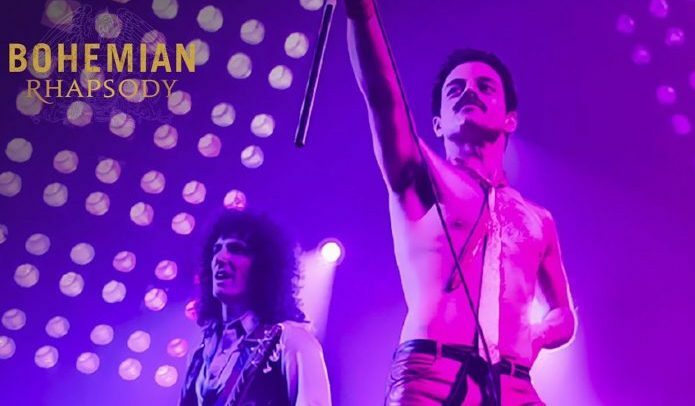 The last twenty minutes of the film was dedicated to a recreation of Queen’s Live Aid Concert which is where Freddie Mercury last performed. Overall, I would give this movie a 10/10 and say it is one of the best movies I have seen in a while. If you’re looking for a new movie to watch, I highly recommend Bohemian Rhapsody.